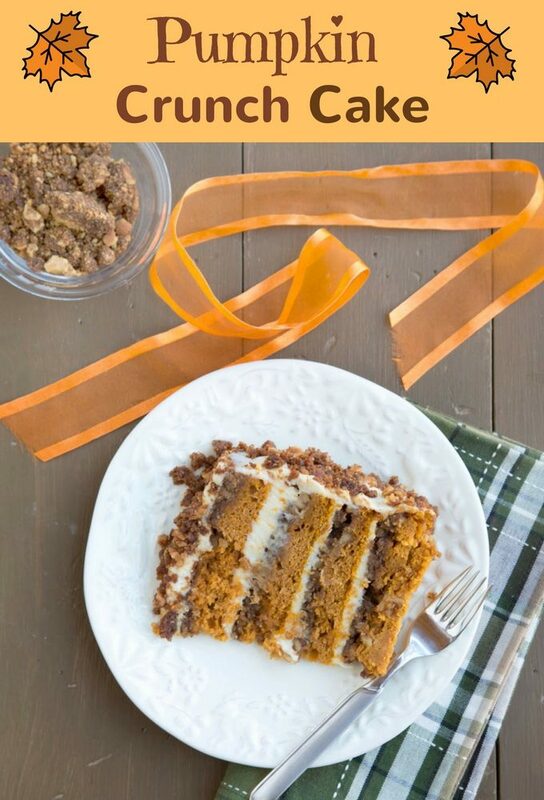 What better way to celebrate the season than with my Pumpkin Crunch Cake! It will definitely bring smiles to your table and soon become your new family fall tradition. 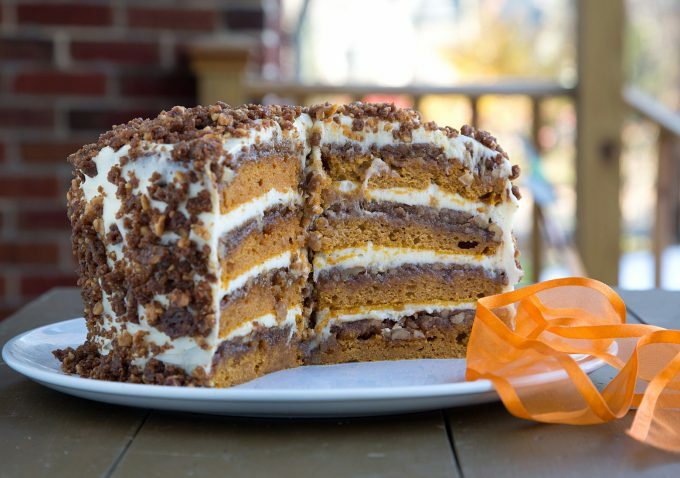 My Pumpkin Crunch Cake is the original version that you see all over the internet. And believe me when I tell you it will be the best cake you’ve ever tasted! In fact, your family and friends will verify that statement when you serve it to them. When I was asked to come up with a dish that was Holiday tradition in my homes, it was a no-brainer for me. One very special dessert came to mind, a dessert that usually makes one or two appearances a year, depending upon the parties I host. But you can be guaranteed that sometime between Thanksgiving and Christmas you’ll see this extra special cake. It’s also a cake I made for our engagement party the very first year Lisa and I were together. Since I usually end up eating 75% of the cake by myself, it’s a good thing I don’t make it more often…sigh. Last year I did start distributing wedges of cake to the neighbors, which got me a marriage proposal in the process….luckily her husband took it in stride as did Lisa! So when you make this cake for your family and friends be prepared, and also have extra copies of the recipe on hand, because you’re going to need them! This cake is just that good! Holiday’s can be a very special time, we have been blessed as food bloggers, not only do we have enough to eat, but we have enough to make dishes to blog about……not everyone is that fortunate, and although it should be in our thoughts the entire year, this time of year it needs to be at the top of our list. 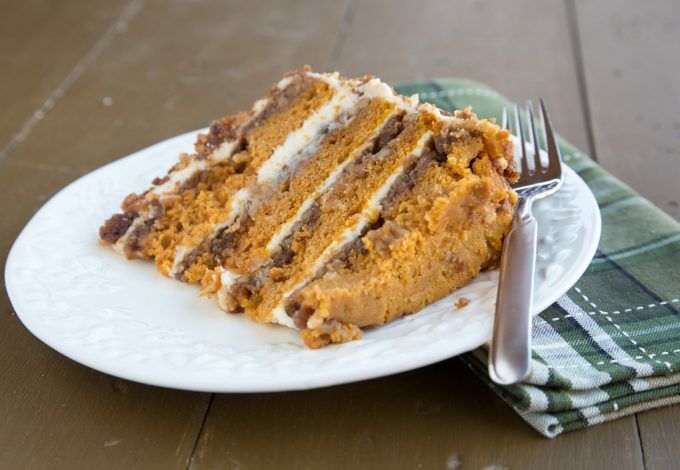 Once your incredibly delicious Pumpkin Crunch Cake is finished, it should be allowed to chill for a few hours before cutting, it will help firm up this cake (When you do cut it make sure to use a serrated knife). So try to be patient. Add in Brown Sugar and mix well. Add in Melted Butter and blend together. Divide mixture into 4 Coated Cake Pans - standard 9-inch rounds (One very full cup per pan), pressing into bottom and spreading it evenly into the cake pans. Reserve about 2 cups of the mixture which will be baked to use on the sides of the cake. Set pans aside and begin cake. In your mixer beat sugar and butter for about 5 minutes until light and fluffy, scraping down the bowl frequently . Add In Pumpkin and all the rest of the ingredients, except the eggs. Mix just until blended. Add in the Eggs, one at a time just until blended. Divide batter equally into your 4 prepared cake pans, smooth it out and make it as even as possible in the pan. Place remaining crunch mixture in another cake pan or pie dish and allow to bake for the same amount of time as the cakes. Bake in a 350 degree oven for about 25-30 minutes or until a toothpick inserted in the center comes out clean. If you use 2 racks to bake on in the oven, at the halfway mark rotate the pans . Allow pans to cool about 10 minutes, then turn them out onto a wire racks and allow to completely cool. break up the extra crunch mix to very small bits to use to decorate the cake with. while your cakes are baking prepare a Cream Cheese Frosting. Add in Vanilla and mix well. Set aside till needed. After your cake is completely cooled ( you can even refrigerate for a few hours) begin frosting the layers and putting the cake together. When you have assembled all the layers with some frosting between them, start to spread the remaining frosting on the sides and top. *You can substitute cream cheese for the Mascarpone, I don't always have it on hand. You may want to increase the butter a bit cutting that amount from the cream cheese. If you have a favorite cream cheese frosting recipe, use that! *feel free to eliminate the extra frosting on the sides of the cake and the additional crunch topping on the sides, the original cake was served simply with only whipped cream between the layers. ****If your cake sticks to the bottom of the pan, place it on a burner of your stove for about 15 seconds, the heat will help release the cake from the pan. This process works for all cakes. Just be careful and judge how hot and evenly your stove top heats the pan. After heating place a plate on top of the pan, and invert quickly. Tap the pan with the heel of a knife to help release the cake. Wow Thanks so much I used you dry Brine and bagged the Turkey it was wonderful and so moist. The cake was perfect in every way!! Oh so very good. Glad I ran into your site. Thank you so much for bringing two of my recipes to your Thanksgiving table and thank you for the great review! My crunch Topping Did not turn out as dark as yours it is mainly more like just a grahamo cracker kind of crust and I’m not sure what I did wrong. Mine stayed in the oven longer which is why its darker. I’ve made this cake quite a few times a sometimes it comes out dark and others not. It’s still delicious! I haven’t baked a cake in the longest time but this looks so good! *-* Perfect for the holidays! Dennis as I read this I am salivating. Fabulous. This cake is absolutely delicious. It’s even better 2 or 3 days later. It is my favorite cake! I think I need to make one soon! I want to make this cake for Thanksgiving, but I’m traveling a 2 hour drive away. Any suggestions for this? Do I wait to frost? Do I wait to assemble? Do I make it and box it up and it be okay till I get to my destination? What’s your opinion for travel? We will eat shortly after arrival, so I don’t want t to “haul” ingredients to make it there!! I would not wait to frost it. The cake needs to set up for a few hours or overnight if possible in the refrigerator. Otherwise its going to be hard to cut. I would put it all together and try to keep it as stationary as possible on the floor of the car. Since it has the crunch topping around the cake, you could even wrap it in plastic wrap to keep everything in place. Might be a dumb question but what does the “g” in g cups mean for flour and sugar? Generous? Is it possible to incorporate a little bit of chocolate? Maybe on the topping? of course you can add chocolate! You could add in some chocolate chips to the cake or add some shavings or bits to the top of the cake as a topping instead of the crunch mixture or combined with the crunch mixture. My husband loves all things pumpkin, I made this for his bday and he LOVED it!! Big hit, will do again for the holidays. I am not a pumpin lover but I do like this cake! The cake was moist and delicious but the tangy frosting made my day. Thank you for sharing!! thanks Saunya, it is one of my all time favorite desserts! This is the BEST CAKE EVER! I have made it every year for our big family Thanksgiving since 2012, and I have been instructed to not even show up without the cake. And they are serious! I suggested I might make something else this year (and I meant in addition to this, but I guess I didn’t make that clear), and I thought I was going to be disowned from the family. Several people have told me that it’s the best thing they have EVER tasted. Many thanks to you for creating this masterpiece of a recipe! Thank you so much for your comment Kim, I’m always happy to hear when someone has success with one of my recipes and more so when you make it one of your family’s traditions. Is this a dense cake? I have made it 2x in a row today, -and both times it came out very dense. the cake itself is fairly dense. It should also be fairly moist. Hi Diana, I found the batter to be very thick but the finished product was very moist. I appreciated that the dense batter did not dome during baking, which made it easy to assemble and frost. I bought an 8oz container of greek yogurt and only expected to use half but the full container was equal to a 1/2c. In the past I didn’t use the correct amount of yogurt. the full amount of both is required. You can use all cream cheese if you like. Standard 9 inch cake pans are best, but it will work with 8 inch rounds also. You’re welcome and I hope you enjoy the cake as much as we do! Goodness gracious this looks incredible! If you can limit yourself to eating just 75% of it yourself, you are far ahead of me! Beautifully done, Chef! Thank you! It really is an amazingly delicious cake! I must be blind cuz ive looked a zillion times and still cant find what size pans the recioe calls out for. Darlene I always use standard size round cake pans which are 9 inches in diameter. You’ll find that most recipes are geared towards this size cake pan. Just wondering how long the ‘crunch’ stays…well….crunchy. Has anyone let this cake sit for more than just a few hours? I’m serving this cake tomorrow night and I’m wondering if I’ll just have a soggy mess if I add the crunch on the outside tonight. Maybe I’ll just cook the crunch now and add it before guests arrive. the crunch topping stays crunchy for up to a week, I’ve never had any cake left over after that point. It usually gets eaten up before then. 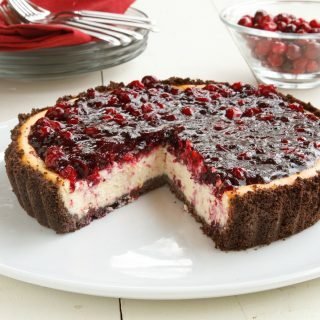 I want to make this cake, but was wondering if all of the crunch mixture could be baked separate from the cake and added to the layers after the cakes are baked. This would avoid the mixture sticking in the pans. Or would parchment paper in the pan help release the sticky part from the baked cakes? Brenda, the only time you have issues with the cake sticking is when you let it sit too long cooling. The easiest way to remedy that is to place the cake pan on a hot burner of your stove for about 5 seconds and the heat will help release the cake. You can of course do it the way you asked, I just don’t know how this cake recipe would respond. If you plan on cooking the crunch separate, I would use one of your go to pumpkin spice cake recipes instead of my cake recipe for the layers. You could of course use parchment paper to avoid them sticking. Thank you, Chef Dennis, for your reply. thanks for the feedback Melinda, I’m glad you enjoyed it! I’ve cooked many cakes in my day, but in no way consider myself a baker. This cake changed my life and the lives of many others. Let me preface by saying I don’t even like cake. I enjoy baking and watching my cake loving husband enjoy. I ate this cake and I ate at least 5 pieces. Never happens. The delish cake with a perfect amount of cream cheese and crunch!! I served last night at an early Thanksgiving dinner and EVERYONE raved about this cake! It’s delish and gorg! I followed the recipe exactly. I screwed up by inverting the cake pans while cooling…… Don’t do! I had no problem getting the crumb layer and cake out after spraying with loads of Pam. Seriously the bomb and life altering!! THANK YOU DENNIS!!!!! Oh Chef! Thank you for such a great recipe. I made it twice in the last 24 hours. One for my family and after I tasted it, I had to share with my friends so baked up another. 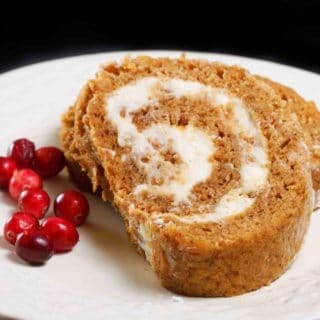 The crunchy topping is so yummy – nutty, butterscotchy, and almost graham cracker-like but better -waaay better – and goes well with the moist pumpkin cake. The flavors were so good together. And the frosting! Mmmm. Never made cream cheese frosting with mascarpone before – it added to the creaminess and mellowed the sweetness of the powdered sugar. Might make a 3rd cake for the weekend. Thank you! I’m very happy to hear that you enjoyed the cake, it has to be my all time favorite cake! Hi Dennis. I am from South Africa. I have 2 questions. I dont find Pumpkin Pie Spice on our supermarket shelves. What mixture of spice is it? Is it cinnamon or which spices should I combine? Also what exactly is vanilla wafers…….. is it a baked kind of biscuit or cookie? I want to try this recipe but scared I might spoil it if I dont use the right ingredients. I am allergic to nuts but will make it for my family. I love to treat my hubby. We just had our 30th anniversary ! This is absolutely the BEST> CAKE>EVER>! I served it for the first time this past Christmas and is now the new and much requested tradition. The cake was served BEFORE the Christmas meal. Due to small kitchen quarters it took me five hours (of love and devotion) to prepare this cake. Seven more months…. I am ready!!!! During the holidays, I made Chef Dennis’s Pumpkin Crunch Cake for one party & his Tiramisu for another. They were both fantastic! I made my own Lady Fingers & mascarpone for both recipes. Everyone, about 26 people, raved about them.. I have become your follower as you seem to prepare the kinds of dishes I like to make for guests. Thank you so much for posting these recipes. They are keepers! Just finished eating the first piece of this cake! My husband says this is the best cake I have baked in a lng time! What a great recipe….and so unique. Thank you for sharing! This cake is fabulous! thank you so much for letting me know you and your husband enjoyed the cake! I just made one for Christmas and wowed my guests, you gotta love it!! Best wishes for a very Healthy and Happy New Year! I recently made the pumpkin cream crunch cake and everyone loved it. I did not have wallnuts so I substituted chopped pecans. I also halved the sugar in the cream cheese/marscapone frosting as my wife prefers a “less sweet” cake. It was a real treat. Thanks! Thanks for letting me know the cake turned out well John! I use pecans sometimes too. I made this cake last night and brought it in for a work holiday party, and let me tell you it was one of the best flavor cakes I have ever made……..The frosting is the perfect fit for the this type of cake. The layers were so beautiful and the crumbs was so delish! It makes a lot of crumbs, but it’s okay because I plan on making this cake again for Christmas Day. PERFECT AND DELISH! Glad I ran into this recipe on Google. Thank you Chef Dennis! For sure saving your website as one of my favs! If you’re looking for another dessert to wow your friends take a look at my Tiramisu recipe, its really not difficult and simply amazing! I’ve never baked with walnuts before because I love pecans. I made your cake with pecans and it was a hit, but I found that walnuts are cheaper…does the walnuts become candy flavored with your recipe like pecans do? I’m skeptical about using walnuts thinking it will have that slight after taste…pls let me know what your thoughts are on the difference of the nuts with baking. I’ve used both nuts as well, but mostly walnuts and have never noticed any aftertaste. I think the brown sugar caramelizes and the bitterness becomes sweeter and more acceptable as a contributing flavor. More delicious that I could have hoped for! Thank you for the recipe! It is scrumptious! I didn’t have vanilla wafers so I used Gingerbread boy cookies. The crumbles got a little over done but it added a nice crunchy brittle-like flavor. The cake is even better the second day. It slid around a bit at first so I used skewers to secure it. I will make this again. It was a big hit! Thank you again. thanks for letting me know Ann, I do have the same problem with the sliding part when I try to frost it too soon, I usually let the frosting chill first and it stays together easier. I do love that cake! Ok, thank you for the tip! I will do that! I am so hungry for this cake again, I am going to make it for Christmas! Even my kids agree its a do over! Love it! Thank you for the winning recipe! Hi Chef Dennis! Well, I saw this cake a year ago and have been following all the questions/comments since. Funny to see how the questions die down marking the end of the holiday season and how they start revving up again in the new year. Well, this year I finally had the chance to give this cake a go myself! And I’m quite proud of myself. I’ll really find out how I did tomorrow (Thanksgiving) but I made a mini tester cake (a good chef always taste tests, right? ;). The cake was so moist with just the right balance of pumpkin. I’ll see how the frosting holds up. I don’t like strong cream cheese frosting so I only used 8oz. of cream cheese, the marscapone and butter. This made it come out a little too buttery so I tried to cut the butter flavor w an extra cup of confectioners sugar. But I think next time, I would double the marscapone. The baked crumbs came out a little dark bc I really wanted them to be crunchy. I don’t mind that, but they were pretty greasy so I guess I’d only use 2 sticks of butter next time. Thanks and Happy Thanksgiving! Sydney: my crust/crumb came out dark too but it’s not the butter it’s the amount of cookies and sugar . You may not have put enough vanilla wafers. If you measure the cookie crumbs after you crumb it, it comes out to far more than 75 cookies…more like a whole bag full needed. I had to redo my first batch because it was too dark and buttery. Also whisk the crust ingredients it makes it perfect. In regards to your icing…make sure the butter and cheese is a little colder than room temp when you whip …when it’s too warm it will butter up not whip. Thought I’d share my trial and errors. Happy thanksgiving! Thanks so much for all the great advice! I wrote your notes down on the recipe for when I plan on making it again. 🙂 You’re probably right about the cookies, because I didn’t actually have enough in the first place and knew it, but went with it anyway. I had only bought 1 tub of vanilla wafers from Trader Joe’s and counted them. It only came out to about 50 cookies (after eating a few, lol) so next time I’ll buy 2 tubs. Thanks also for the frosting tips. I love baking but homemade frosting is my downfall. I just haven’t gotten it down yet – and the butter temperature probably has a lot to do with it, so good advice! Well, thanks again and enjoy the holidays! Sydney: you’re welcome! When u decrese the sugar in the crust to 1.5 packed cups increase your crumbs and nuts by .5 cups each…I did an extra 1 cup pecans to my crust becuz I didn’t have enough wafers and it was delicious! But nuts are more expensive than wafers so next time I’d increase dry ingredients up to 1 cup (either 1 cup wafers or 1 cup nuts or .5 of each). If you are having trouble with the icing you can also make it without the butter and do 4 times this recipe: 8 oz cream cheese. 1/3 cup powder sugar and 1/2 tsp vanilla. I use this icing for my fruit pizza. You can also use the box of Nilla Wafers from the grocery store. This is a costly cake to make. Sydney: in the icing recipe you can increase the powder sugar if you’d like it more sweet (with the recipe i posted). Also, I recommend unsalted butter in all your baking recipe…if you google it tells you ” unsalted butter should always be used in baking. The reason for this is that salt toughens the glutens in flour.” I have always used unsalted butter, expensive, but perfects dishes…when i use salted butter it always tends to melt down and not whip up…on that note, make sure you are using the right mixing head…to be on the safe side use the flat beater and not the wire whip when mixing butter. Rena, thanks again. I will make note of the sugar/cookie/nut ratio, but will probably use more wafers than nuts ($ like you said). I chose TJ’s vanilla wafers because they still seem to use wholesome ingredients (i.e no partially hydrogenated oil) compared to the old-fashioned box of vanilla wafers that I have always loved, but feel too guilty buying now. I even went as far as making my own once for a trifle just to avoid the processed ones, lol. Thanks for the unsalted butter tip. I think I had read something about that, but honestly just use whatever I happen to have. I just looked at the box and it turns out I did end up using unsalted butter for the frosting, a fortunate accident. The frosting wasn’t too bad, I suppose, and people loved the cake (one person said it was better than a restaurant 🙂 and I’m blown away by how moist it is (!) but I just personally found my frosting a bit too buttery/cream cheesy. Well, thank you and Chef Dennis again. I doubt too many recipes get this kind of dialogue going, it’s really interesting. Thank you, Chef Dennis for this learning forum! Happy Holidays! 1.) blend the cookies to crumbs and then measure to 3 cups and put in a bowl. 2.) put pecans bits in blender and just pressed the pulse button twice for a second and poured in bowl with cookies. 3.) only put 2 packed cups of brown sugar into crust mix..next time I’d cut it to 1.5. 3 cups didn’t work and 2 was still sweet – almost perfect, but sweet. 4.) Melt 8 oz unsalted butter for 1 min 30 sec and add. Mix all together with a whisk and press 1 cup (not packed) on bottom of ea pan. Put remaining crust in greased 13×9 pan and bake for 15 mins tossing every 5 mins. Cream cheese frosting was perfect with 3 8oz cream cheese…sift the powder sugar to avoid clumps. I am so proud of this cake as this is my 2nd time to make it! My first one the crunch was dark which I must have used dark brown sugar instead of light. This one is picture perfect just like the photo here. I took it to the office to keep for our Thanksgiving dinner tonight and everyone is oohing and ahhing and just freaking out over it. I keep taking the lid off the cake carrier and waving the lid as the intoxicating smell of the crunch with it’s butter, brown sugar and vanilla wafers draws everyone by it’s essence. It is such a huge cake that I know we will have some left and I have promised the office people I will return with some for them. 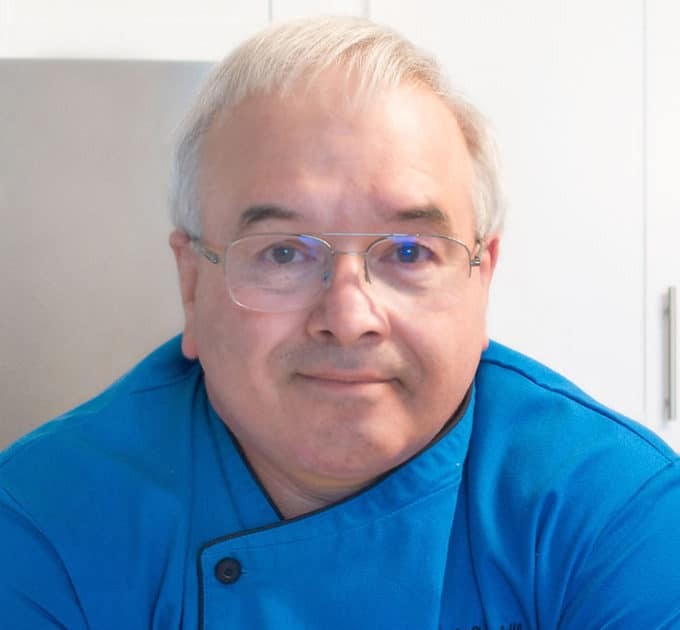 Chef Dennis – You are a genius! I love this recipe! Thank you! Thanks so much for letting me know how well the cake went over Ken, Happy Thanksgiving! What type of cookies? Like a nilla cookie? I love food, esp sweets and love making people happy with food too! I’m going to try this recipe for my family’s thanksgiving gatherings and hope I’m successful! I hope that it turns out as beautiful as this cake looks! I’m determined…and can’t wait to try it! Thank you for a creative recipe and a beautiful dish! I’m not a chef but hope to one day have my own business where I could do what I love everyday…bake! I’ll rate it once I’m done making it…tomorrow! 1. recipe says 8 oz butter for topping – in above comments I see 6oz and 12oz referenced – could you clarify which it is? 2. can i make the layers ahead a freeze for 4 days later? and can i make the filling ahead a refrig for the same? sorry it took so long to answer, I must have missed this earlier. The cake freezes very nicely so it can be done ahead of time, and the filling will hold up very well in the refrigerator for at least a week, although you may need to get it out to warm up, or re whip it before spreading. and it is 8 oz butter for the topping. I made this ahead of time and froze it – put it together the day I served it – It was amazing and got rave reviews – thank you!!!!! This cake is awesome!! I never try out new recipes on guests, but I did last night when I served this cake at a dinner party. Everybody loved it! My husband actually ate a total of three slices before the night was over and he is not usually much of a cake-eater! This cake is definitely going to be the one I serve for all special occasions from now on. The only thing I will change is to make just one half of the crunch topping since the full amount made a lot more than I needed. Even so, I put the extra crumbs in the freezer (before baking) and will use them for a cookie crumb pie shell! Thanks for letting me know Betty, it is my favorite all time cake! I made your pumpkin cake in September…LOVED IT! For some reason, your name didn’t click when I visited your website for the cake till I went to make your rustic bread! I love the bread and make it all the time. I guess because I printed it out and didn’t actually visit the website till now (lost the bread recipe to spilled milk), did I realize you were one and the same! Thank you for 2 of my favorite recipes and look forward to many more I am sure. Thanks Sherry! I happy to hear that you’ve had success with my recipes! Hope you find a few more to enjoy! I made this cake last year and it has been requested again. I was thinking of making into cupcakes…but am not that experienced of a baker. Do you have any advice on the cake to cupcake conversion? I imagine it might not have to cook as long…will everything else work as is listed in the recipe? Thanks for your help and an awesome recipe. This cake looks heavenly, however a member of my family is highly allergic to nuts. Might you have a substitute for the walnuts for the crunchy topping? Also, any ideas of how to adjust this recipe for high-altitude baking (5000 ft)? I’m sorry to say that I don’t have any experience in high altitude baking, but I would think if you treated it like any of the other recipes you’ve made it should turn out. As for the Walnuts, I racked my brain trying to think of another crunchy item you could replace it with and the only thing I could think of might be granola, although I have no idea how it would work or taste. Possibly some type of seed might work too, but I’ve only made this recipe with walnuts or pecans so I can’t offer any workable solution. Thanks so much! I’ll try the granola and let you know how it works! Mary – my granddaughter is also allergic to nuts, so I left out the walnuts as well. The cake tasted great with just the vanilla wafers in the “crunch” topping. I have since learned to use graham crackers as an alternative. Store-bought vanilla wafers no longer have “real” vanilla in them. Time to read labels, again. There are some good recipes for homemade vanilla wafers, too. I came looking for your Tiramisu recipe and wound up pinning this one. Gorgeous! Great tip about releasing the cake from the pan too. 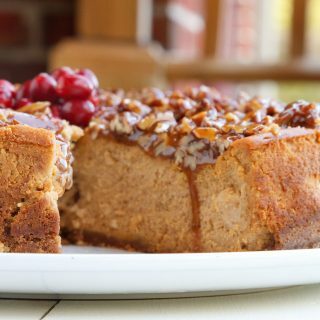 Fell in love with your Pumpkin Crunch cake last fall. So when I was asked to make a cake for a Veterans Day lunch I said I had the perfect cake recipe I had found online! Little did I know they were going to enter it into a contest! Guess who was sent a blue ribbon!!! I had divided it into two – two layered cakes for ease of serving and decorated them with candied cranberries and silk fall leaves on disposable gold chargers. Afterwards I wish I had taken a picture to send you! Thank you for sharing your yummy treats! Thank you so much for sharing the news of your success with my cake, I’m very happy to hear it won a blue ribbon and happier that you truly enjoyed eating that wonderful cake! Have you ever tried it with gingersnaps rather than vanilla wafers? I think I will. I’ll let you know how it turns out. no Sandi I have not, but in theory any cookie would work. I’ll be interested to see how they work! This cake is to die for and everyone that ate it thought it was one of their top 5 all time cakes that they had tasted. Super rich and sweet and just a thin sliver of cake goes a long way when you cut it! If I were to make it again, I would decrease the butter in the crunch topping, maybe 4 oz of butter less. Personal preference but I found that the remaining topping for the cake was just a tad too greasy for me. After baking, I put it between paper towels and blotted the extra butter away.. I also switched out sour cream for the yogurt as I forgot to buy it at the store and wasn’t going out in the middle of assembling the cake to get it. Quite a presentation this makes when it is all assembled…HEAVY too! Thanks for a great recipe. I’m very happy to hear that you enjoyed the cake, and yes it is one Heavy Cake! Hey Chef D! Quick question, when you say coat the cake pans…do you suggest coat with nonstick baking pans or parchment paper? I’m making this recipe very soon. Thank you so much! you could use either but I used a spray when I made the cakes, and sometimes they do stick, so I suppose parchment might be the better choice. Looks amazing but I am not really a fan of pumpkin. 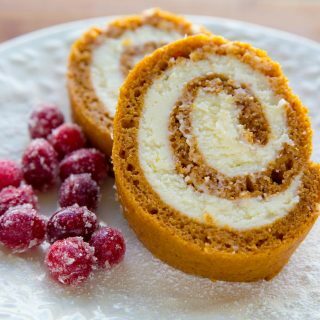 Could I substitute apple filling and apple pie spice for the pumpkin and would I need to decrease the sugar? Thanks so much. I’m afraid that would not work at all, sorry. I’m not a fan of pumpkin either, but I love this cake. This recipe calls for 12 ozs of butter in the crunch topping, as my cake was baking I found the video, the viseo calls for 6 ozs of butter in the crunch topping so it’s not too greasy ? I used the 12 ozs as stated here, that’s a big difference, I hope I didn’t ruin my cake. Thank You ! The cake was a hit, I made it in 3 layers. I also made it the day before the event, which probabaly made slicing easier. Being such a heavy, dense cake, I didn’t cut it in wedges, it was cut in slices aproximately, 3″ x 3/4″ thick. I got many, many servings out of this cake and everyone had enough to be satisfied. Very good blend of flavors. I’m thinking of making this cake for Christmas, but I’m not a big fan of (at least, strong) cream cheese frosting. Any substitutions I can make that won’t destroy the integrity of this cake? using more mascarpone and butter in the mix cutting back the cream cheese will lessen the cream cheese flavor, it will be more of buttercream that way. Thanks so much for getting back to me, Chef, and so quickly! I like mascarpone in tiramisu, but don’t know how the flavor works with other ingredients outside that, but we shall see! I love buttercream frosting but lately when I’ve attempted it, my homemade frostings taste more like butter than buttercream. Not good! Do you have a tried and true buttercream recipe that can’t be messed up?Thanks again! I’m afraid I don’t have a go to buttercream, I love cream cheese frosting, and a lot of times I use mousse as the frosting. I just don’t bake enough cakes that call for frosting, most of my other creations are more European and don’t use frosting. This may well be the best cake I have ever had! A spectacular blend of taste and textures besides being an eye catcher. Absolutely delish!!! The only thing awry for me was my “crunch” mixture on the outside wound up looking like cooked hamburger meat brown in color, not the pumpkin-orange color shown here. Maybe I did something wrong but the taste was all there. No one complained just my critical observation. I might put a little orange food coloring into it the next time to give it a more eye popper. Thanks so much and this is definitely my standing Thanksgiving cake recipe from here on out! I’m happy to hear that you enjoyed the cake as much as I do. Did you use dark brown sugar or light brown sugar for the crunch topping. It really comes out considerably darker with dark brown. Oh thanks Dennis! Thats the cuprit. I used light brown. Now I know. That is an amazing recipe!! Thank you so much! Hi. I attempted to make this cake today for thanksgiving but I think I did something wrong as it did not turn out right. My crunch topping came out as a chewy glob instead of crunchy. I was able to salvage the cake and am just gonna frost that as I don’t wanna start over. I did 3 cups of the nilla wafers. Should it have been 3 cups of the wafer crumbs? Please help. I’m sorry it didn’t come out, I just got done making two of these cakes following the recipe exactly. I also a video on making the cake, that I just did for google, you can find it on my you tube channel. did the crunch topping under each cake come out ok? I think all you had to do for the one that was chewy might have been to bake it longer. Check out the video, and maybe you can see where the problem was. Served the cake after Thanksgiving dinner tonight. Turned out great even with my mistake. Received several compliments and even had a few people come back for seconds before I finished serving the cake to everyone. Great cake! Thanks for recipe! I’m happy to hear that everyone enjoyed, I hope you give it another try, it truly is an exceptional dessert! Thanks so much for letting me know! This cake looks so delicious. Can’t wait to try it this evening. Can I use fresh pumpkin and if so, how much do I use? This sounds delicious, going to try it for Thanksgiving! I was considering baking this in one large rectangular pan, then cutting it to make 4 layers. What would you suggest for a bake time? It all depends on how big the pan is, the problem with cooking all that dough and crunch layer in one pan is going to come when you try to remove it and cut it. Since I’ve never baked one that way I would only be guessing on how long to bake it, the other problem I see in a large pan is if the batter is too thick you’ll never get even cooking, and the middle will be raw, while the outer edges are overdone. So I wouldn’t advise trying this cake in a pan large enough to cut 4 layers out of. Thank you so much! I think I will go for the 4 layers – go big or go home, right?? 🙂 Can’t wait to try this absolutely delicious sounding cake. it is a lot of cake, I only make it that big for the effect and to hear everyone ooooh and ahhhh! It would be just as good with just two layers or even smaller layers. I usually do refrigerate the cake only because the cream cheese frosting can get soft and when it’s that big I don’t want layers sliding off…lol but if you make a smaller cake it wouldn’t necessarily need to be refrigerated. Wow! It looks great and makes my mouth waters! I am going to try making it this weekend. Will share with you again. hi Ezz, it’s very nice to meet you, and I look forward to hearing how your cake turns out! I know I’m a year late but I’m making this right now for some practice before the holidays. I’m confused about the cream cheese frosting. States 1lb 10X sugar? hi Lucy 10x sugar is confectioners sugar, aka powdered sugar. 1 pound is our standard size box. let me know if you have any other questions! thank you, i have never seen it like that (10 X sugar) i learned something….i don’t know what i did wrong but the crunch topping is really stuck after i flip the cake out. it is staying all on the pan. im usually such a good baker with new recipes. the only thing I can think of is that you left them sit in the pan too long to cool. If you ever have doubts that the crunch layer is stuck, next time place the pan directly on a burner briefly to heat the bottom of the pan, this will help release the the cake. This works with any type of cake. Thanks for the recipe! I cannot wait to give this a try. hi Shaun, that’s my problem too, I love this cake too much! I have to start giving it away as soon as I make it or I’ll eat it till I burst! Luckily my neighbors feel the same way and are always eager to help me! Estoy impresionada con esta deliciosa tarta. Yo también la comería hasta enfermar. I have a really dumb question. I am making this cake today, and want to know, what is a “cake coated cake pan” as listed in the cookie topping section? Like I said, dumb question. Thanks. that’s not it all a dumb question, what you have a sit down the shaft proof read his copy well enough it should we just for prepared cake pans. it’s an incredible cake your going to love it. Well, it has been a few months – could have sworn I let you know how the cake turned out… time flies, though. Our girls were here for Spring break when I made the cake. EVERY ONE loved it. My older daughter ate it for breakfast, lunch and supper. We DID have to modify it and not use the tree nuts, as our granddaughter is allergic. No matter – it was a HUGE hit. Thanks again for your encouraging words! Made this tonight and it was absolutely amazing, incredible, super delicious and sweet. My chocolate loving family loved it too! This may definitely become a family tradition for the holidays too. Thank you so much for sharing such a treat. I think I will have another piece right now! YUM! Crunch topping baked in the layers?? This sounds amazing and I can’t wait to show this baby off at Thanksgiving dinner this year. Perfection. Seriously. This is my kind of cake!!!! I love anything pumpkin. And when it’s wrapped up in a huge, gorgeous cake…even better!! Thanks for sharing!! This looks and sounds so amazing! The crunch topping is what has my mouth watering, and that cake looks so moist! I just can’t wait to try out this recipe. Thanks so much for such a grand feast of a dessert! this is definitely one gorgeous cake, I can see why it elicits marriage proposals!